This recorded webinar addresses how the recent ConsensusDocs updates reflect industry changes impacting payment, insurance, terminations, indemnification, mediation and arbitration and avoiding fiduciary duty. 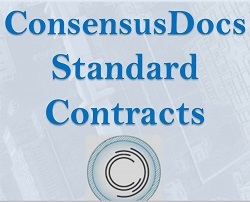 Industry experts highlight the most significant changes and strategize how you can leverage contract negotiations on specific provisions or in using the 2017 editions of ConsensusDocs standard documents. As attentive as many professionals are to their written contracts, even a modestly sophisticated understanding requires attention to "implied" obligations and prohibitions. 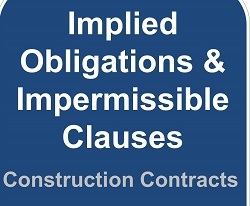 In this informative 90-minute recorded webinar, Stephen A. Hess of Sherman & Howard, LLC presents an overview of implied obligations and judicial and legislative prohibitions related to construction contracts. This recorded webinar will provide effective project management techniques to prevent, minimize and/or win change orders and claims while developing the procedures and techniques required to properly identify, prepare, evaluate, negotiate and get paid for valid change orders and claims and not pay the invalid change orders and claims. 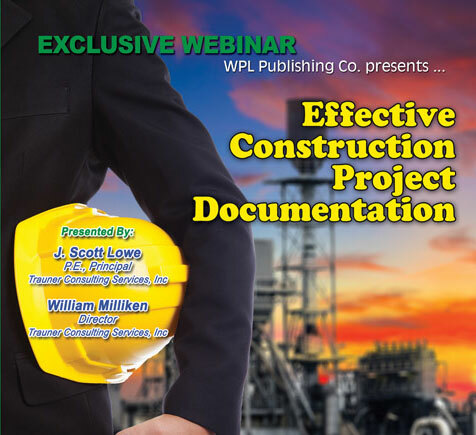 This webinar will cover the following types of project documents: pre-construction documentation, standard records (meeting minutes, logs, RFIs), testing and inspections, communications (emails, letters, schedules), how to document oral conversations, and tips for effective photographs and videos. Contract interpretation is one of the more interesting subjects in day-to-day project management. Every construction project is a unique design accompanied by a unique set of contract documents. Design is limited -- or should we say “unlimited” -- only by the imagination of the designer. 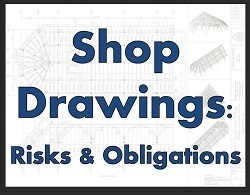 So it is natural that the development of the specifications and drawings comprising the contract documents will give rise to questions and conflicts. 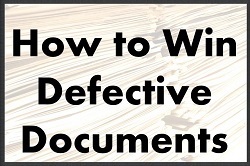 Listen to Robert Freas and Wesley Grover for this in-depth review of the various records and documents including examples of times & material reporting, daily reports, documentation logs, production and other reports that should be kept for both improved project performance and improved change order management and claims resolution. 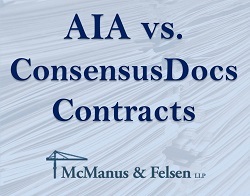 This presentation discusses updates to AIA & ConsensusDocs forms, the ins and outs of the competing forms, and the biases that are found in each set. You will be more prepared to identify the key terms that may seem innocuous, but in reality, could have a significant impact on your rights and obligations should you enter one of these form contracts. 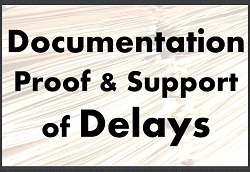 This recorded webinar discusses the importance of sound contemporaneous project documentation and its role in the resolution of time extension requests and delay claims. The presentation also defines the different types of delay and present the analysis techniques that experts use to prove or disprove the existence of critical project delays. Learn best practices for documentation and record management in this 90-minute webinar. This interactive program will provide you with guidance to help you develop effective procedures for documenting your projects, including the transformation to the paperless project. You’ll get answers to your pressing questions about electronic evidence on a construction project, including the legal issues surrounding social media. 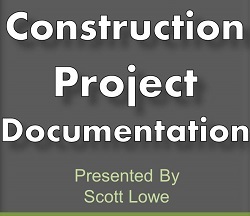 This webinar describes why good documentation is so important and why contemporaneous documentation created by stakeholders during the life of a construction project is even more important. 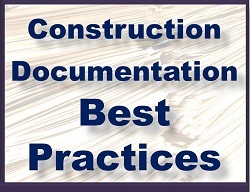 The various ways that construction projects are documented and preserved for posterity during their duration are described, and suggestions for making this documentation more fact-focused and effective are offered. The program shows how effective communication and documentation can increase the likelihood of resolving issues in a timely manner and without resort to the claims or litigation process. Real-life examples of both effective and not-so-effective communications are presented. As the Engineers Joint Contract Documents Committee (EJCDC) finalizes the new 2013 editions of the EJCDC Construction Series (C-series) documents, there is no one more qualified to provide an overview of the substantive changes to the documents than Jim Brown, Chair of the EJCDC Construction Subcommittee.